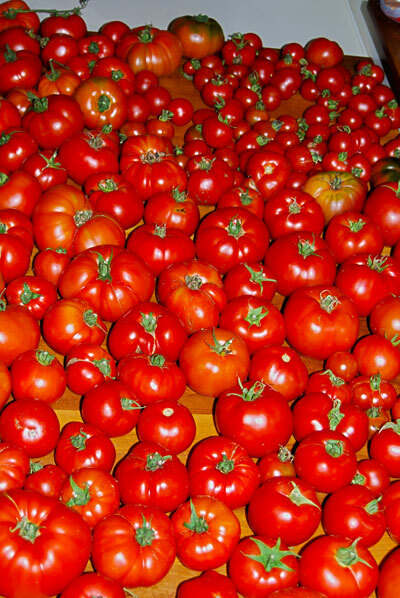 Alas, the end of Summer has arrived, and the tomatoes are nearly done for the year. 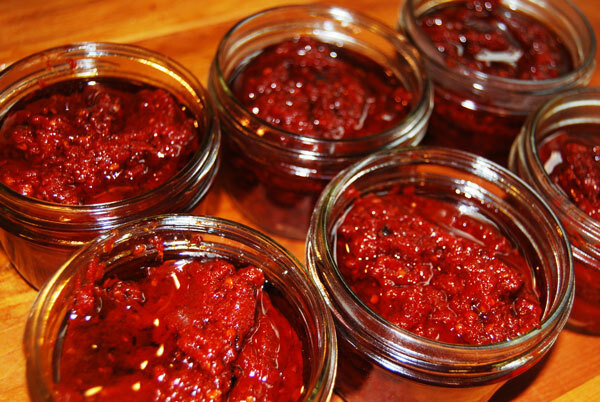 Making tomato paste is easier (in my opinion) than canning, and it’s a GREAT way to get rid of those tomatoes that are overripe, spotty, bruised etc. 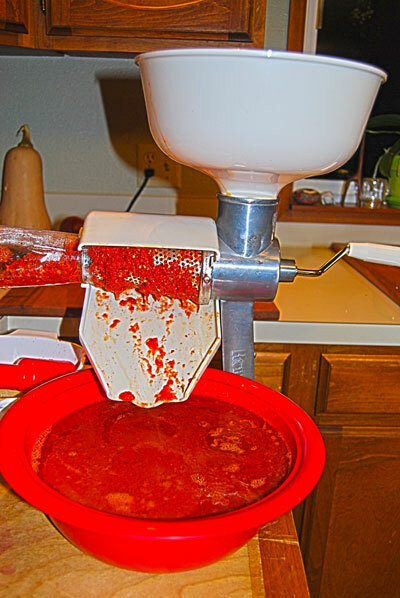 We have this gadget called a “Food strainer/sauce maker” that my better half got at the hardware store a few years ago. 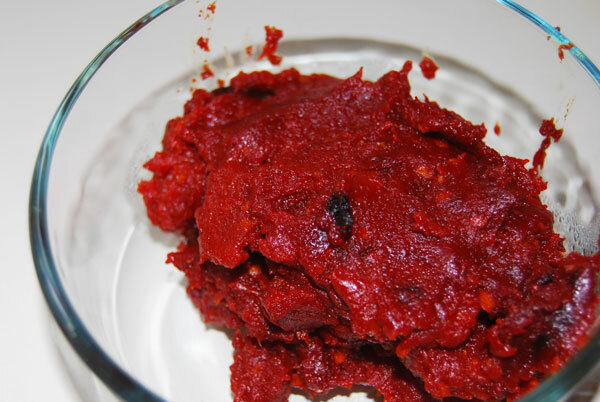 We mostly use it for pulping blackberries to remove the seeds for jams, however, it’s also a neat way to get rid of the skins/seeds in tomatoes. Roughly chop tomatoes and let sit in a colander to drain most of the juice off. Just quartering them is fine, and you can actually leave the cores in. 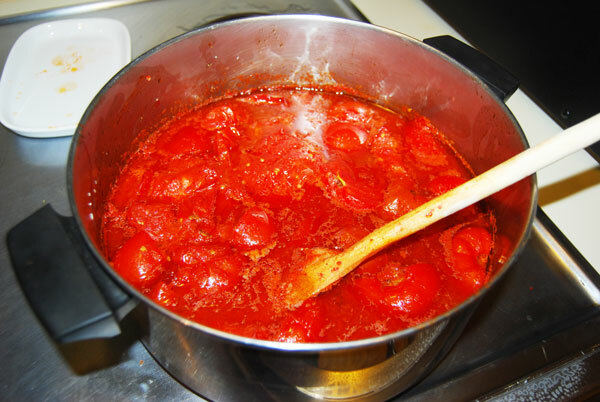 Bring tomatoes, 1/2 cup olive oil, and salt to a boil on the stove, stirring occasionally. Bring down the heat, and let simmer for 5 to 10 minutes. Pass mixture through “the gadget” (see pics below). A food mill works just fine for this as well. 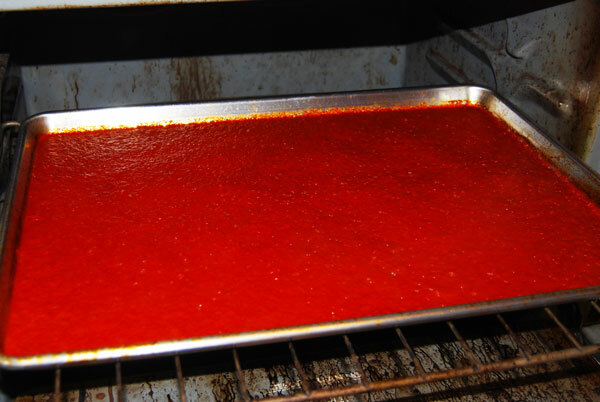 Pour into a large sheet pan, and cook in the oven for 3.5 to 4 hours on 300 F, stirring with a spatula every 30 minutes. 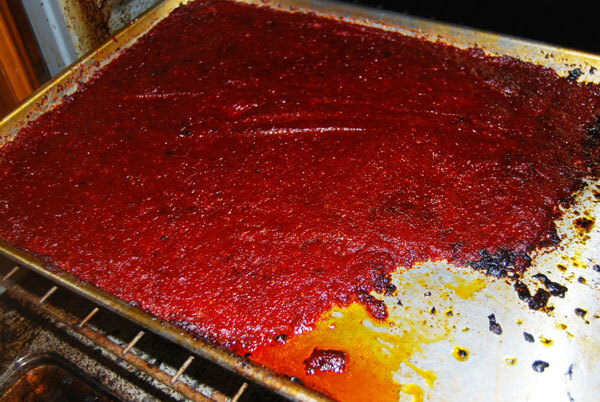 As the juice cooks off you will see carmelization starting on the outer edges, just mix it all back in and redistribute to one side of the pan as it starts to cook down. 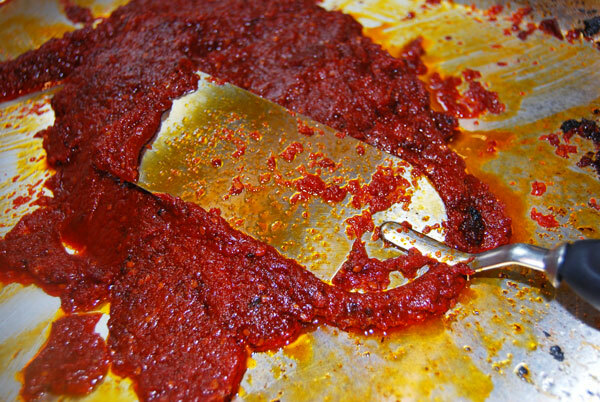 As the paste begins to really thicken check it every 10 or 15 minutes. When it starts getting a nice dark red, you know you are getting close ! Store in small jars, covering the top with a layer olive oil. I usually make a double batch and do 2 sheet pans at once, and freeze. So much more delicious than store bought. Homemade gives a richness to soups and stews that is incredible.